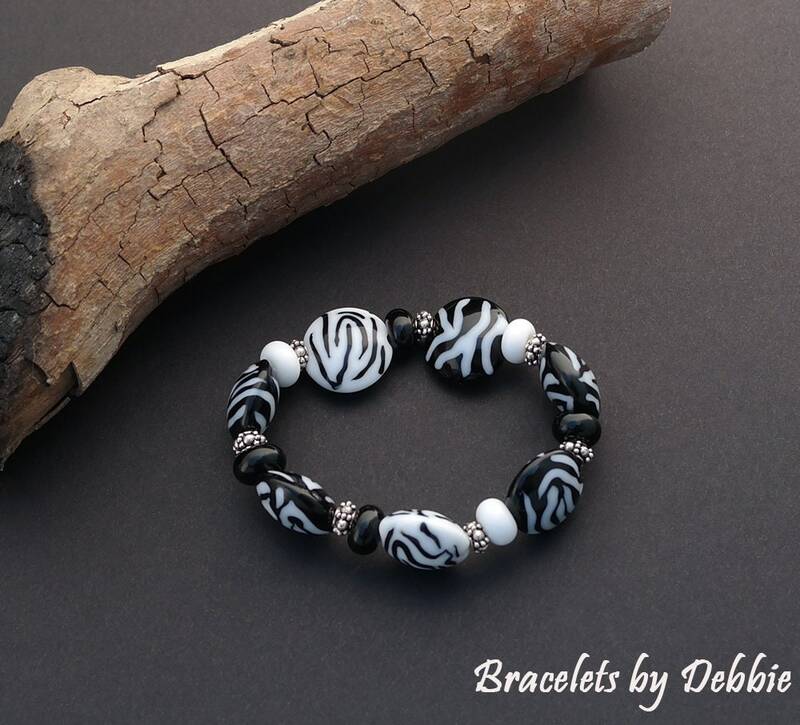 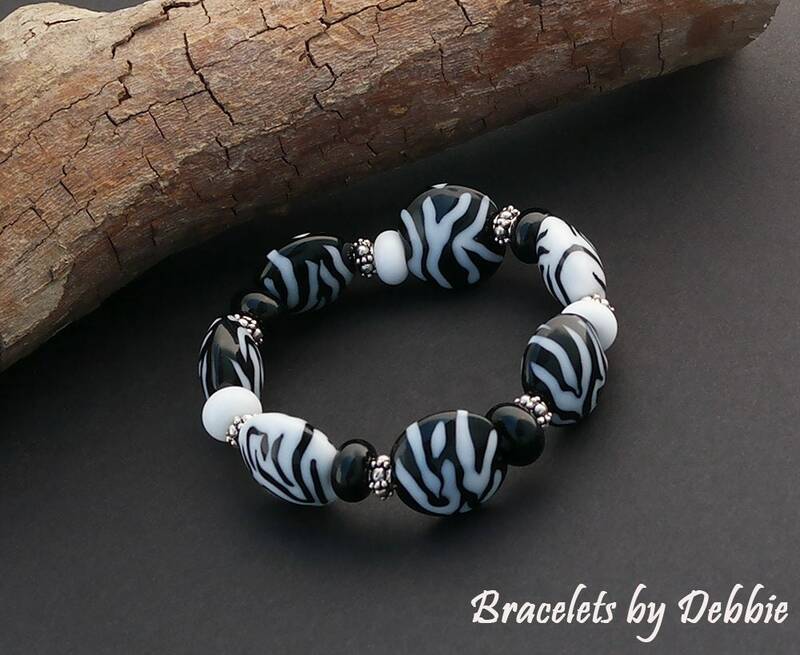 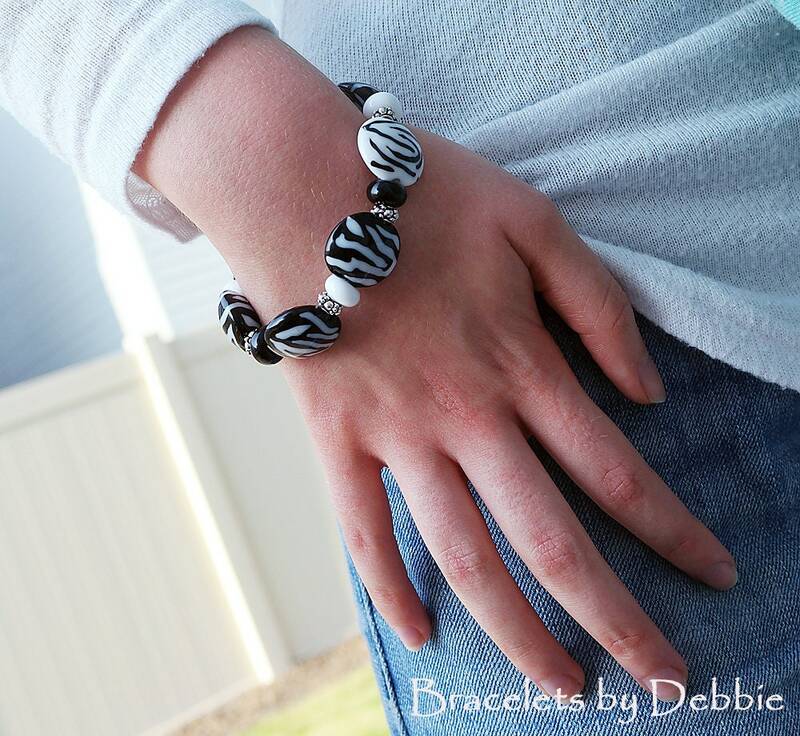 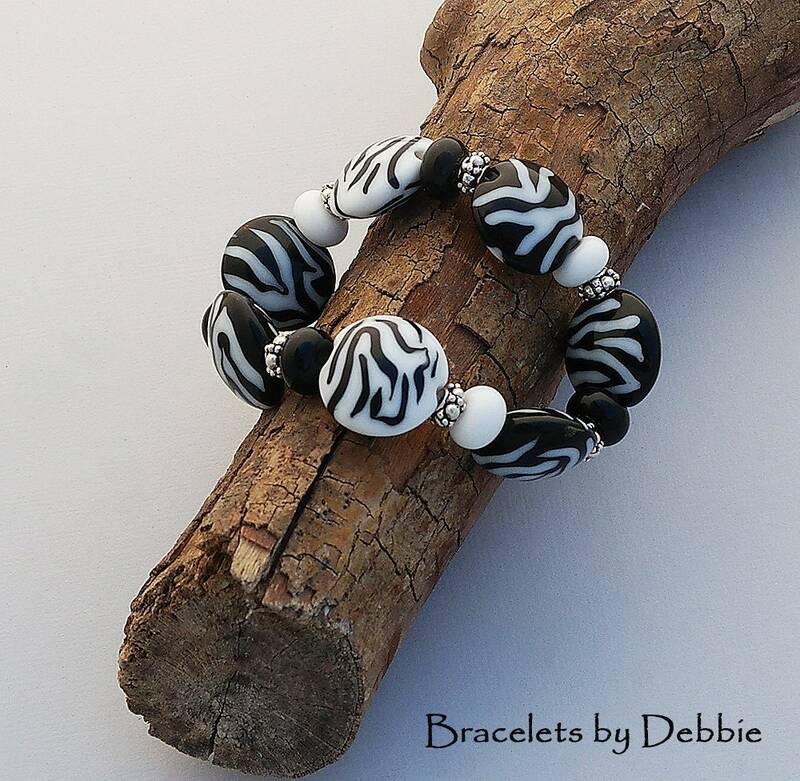 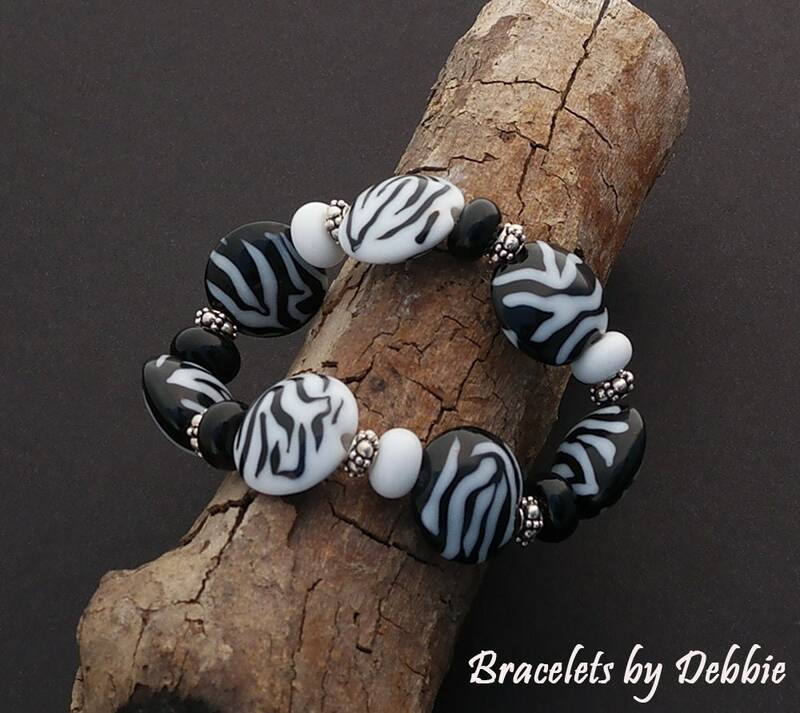 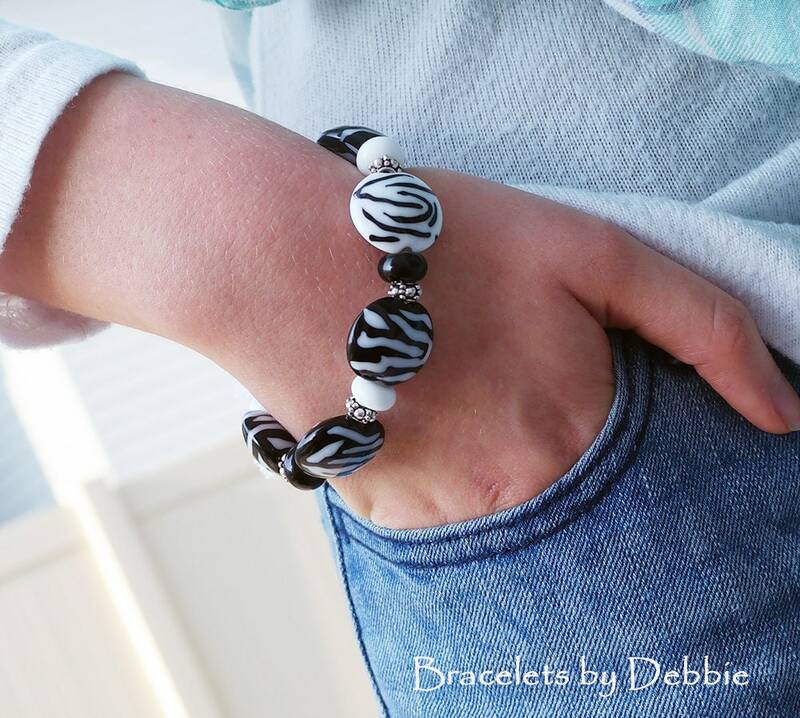 "Zebra" A beautiful OrGaNiC bracelet of 7 handmade lampwork lentils and spacers. 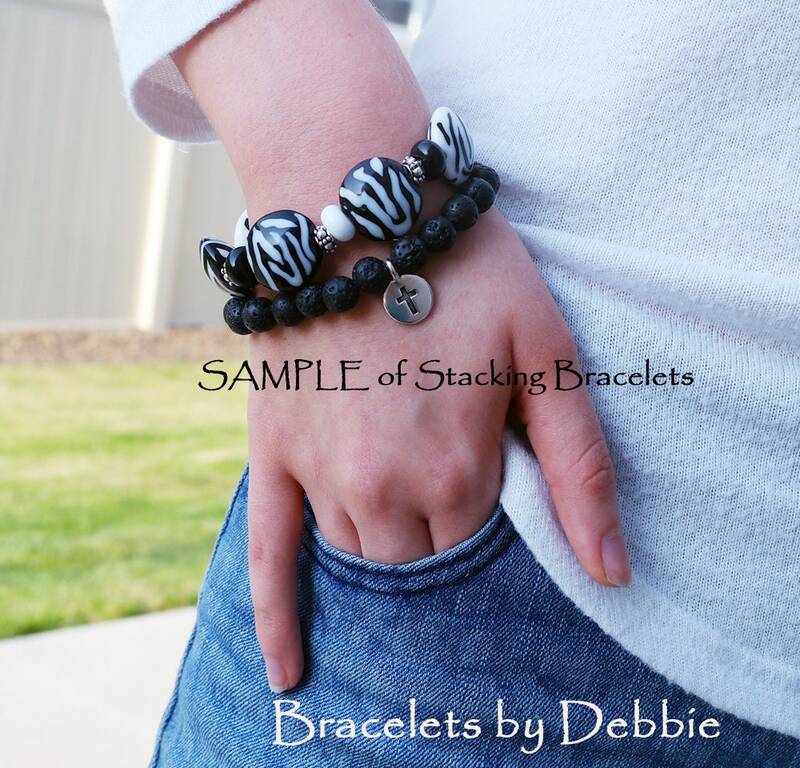 Length is 7" or just slightly longer. 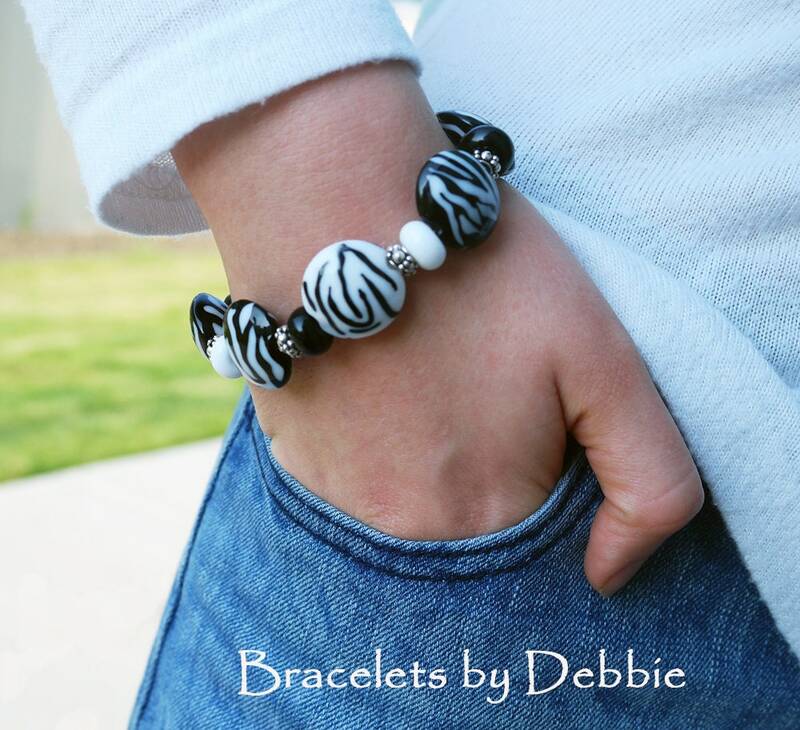 Each lentil is .75" (19 mm) in diameter for each glass lentil. 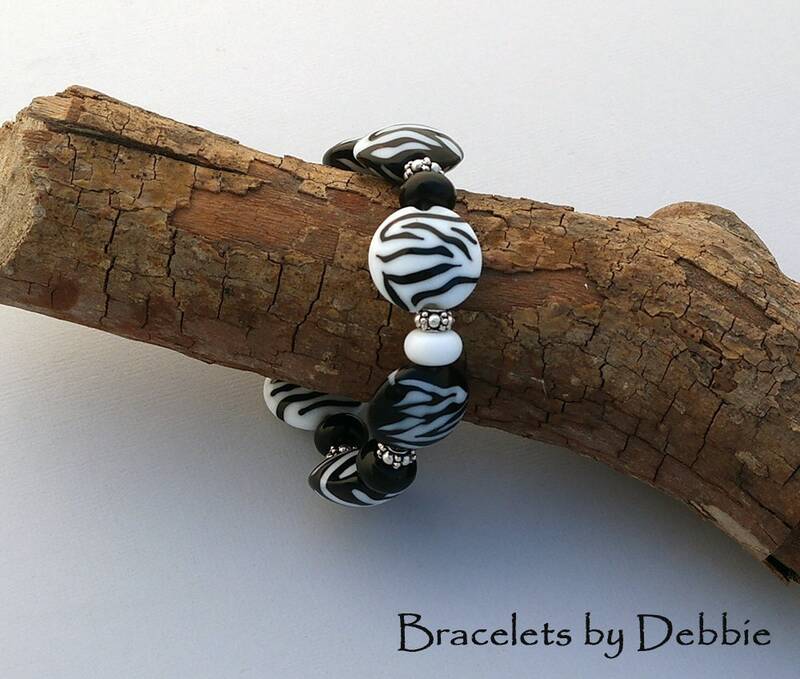 Sterling silver spacers accent the beads. 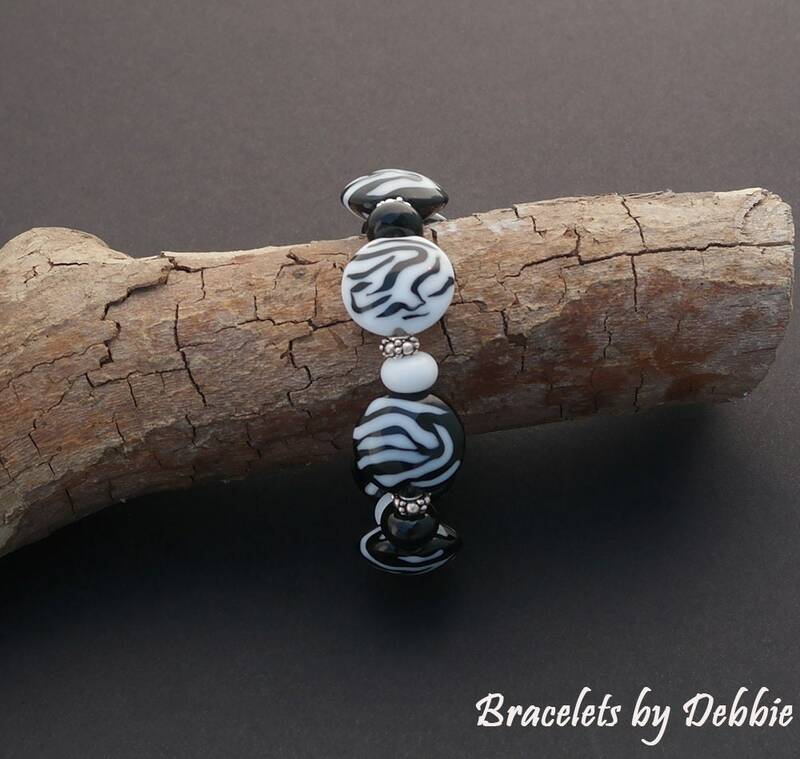 This bracelet is strung on Stretch Magic and triple knotted for a secure bracelet.